Half a century ago, with its then-gleaming headquarters soon to be named for its then indomitable chief William Parker, the Los Angeles Police Department had become widely regarded as the model of modern policing. An admiring TV show, "Dragnet," polished the department's image. "You had a small police force that was doing no community policing, that was riding in patrol cars, faceless, just looking to make arrests," said Joe Domanick, an author who has probed LAPD's history in "To Protect and to Serve" and "Blue: The LAPD and the Battle to Redeem American Policing." Behind-the-scenes footage shot by a National Guard cameraman shows rarely seen moments during and after the 1965 Watts Riots. Carolyn Johnson and Michael Brownlee report on "50Watts" on Aug. 11, 2015. In his first book, Domanick made the case the LAPD was oblivious to the community's needs and to what would be ignited on a hot August night in 1965 when a California Highway Patrol traffic stop of a suspected drunken driver unleashed a frustrated and growing crowd's fury, leading to the Watts riots. 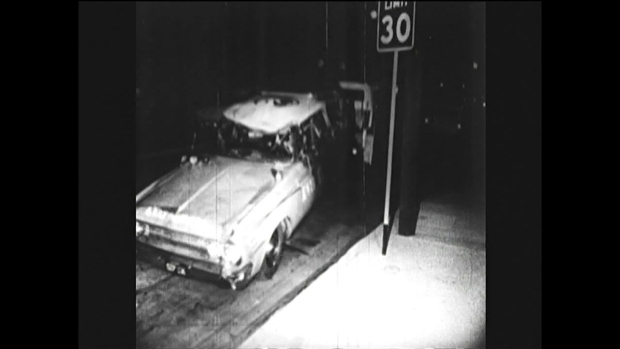 "The first reaction was here's all this going on, let's just let it burn itself out and it will go away," said Bernard Parks, a rookie at the time who would later become the chief of police. The largely white male department of the 1960s had relatively few African-American officers. As a newly minted officer, Parks was coming to grips with LAPD culture that had stopped segregating officers only four years earlier. "There was distrust internally as well as externally," Parks said. "I never got the feeling that we really knew how to address the problem that we (were) faced with," said David Dotson, retired LAPD Assistant Chief who was a sergeant assigned to technical services half a century ago. The Watts riots were the beginning of a momentous change in policing, though not all at once, says current LAPD Chief Charlie Beck. 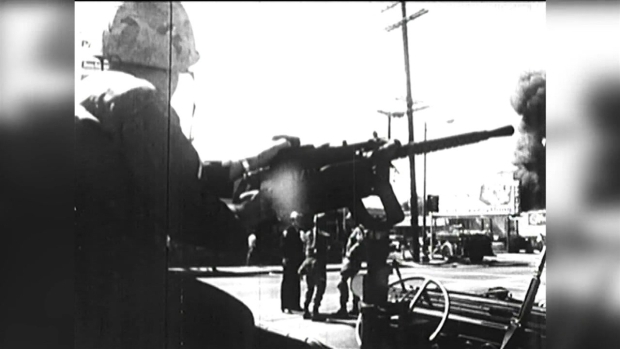 Rarely seen video shot by a cameraman for the National Guard during the Watts Riots. Focused on eliminating street-level corruption and improving efficiency, Chief Parker discouraged officers from establishing bonds with communities, Dotson and Parks recalled. But after the 1965 uprising, Parker launched a program to expand community relations. Dotson was assigned to work with the late Jim Fiske. "There were real attempts by Fisk to interact with the community and find out exactly how they felt and what we can do to make it more acceptable without abandoning the law enforcement role," said Dotson. The seventies saw reforms by then Chief Ed Davis to decentralize LAPD and connect officers with the area they patrolled. 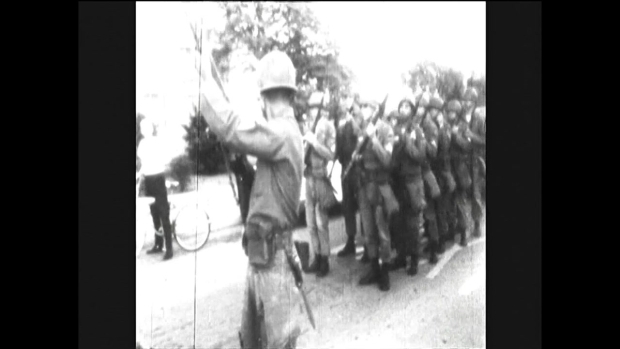 As riots erupted in Watts in 1965, the National Guard was deployed to help quell the disturbance. There was evolution of community relations and community policing, but also setbacks as gang violence intensified in the 80s and 90s. "Literally all we did - I was a young cop - was race from one emergency to the next. You never had a chance to fix anything," Beck said. However, effective were some of the responses instituted by then Chief Daryl Gates, including the "Operation Hammer" arrest sweeps and the use of mechanized battering rams, they were seen by many living in Watts and other southside neighborhoods as repressive. As riots continued to tear Watts apart over several August days, law enforcement struggled to regain control of the neighborhood. 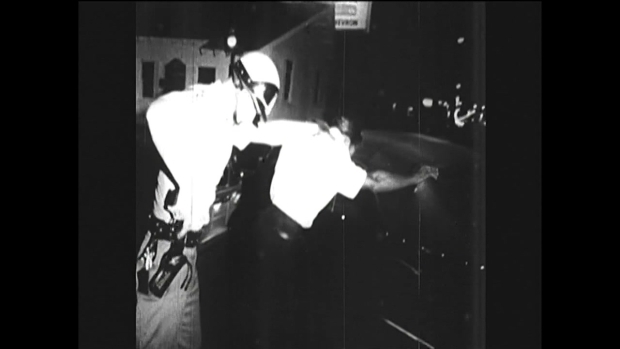 The video recording of the use of force against Rodney King, and the more widespread 1992 rioting renewed commitments to reform and spurred recognition of need for a closer relationship between LAPD and communities. 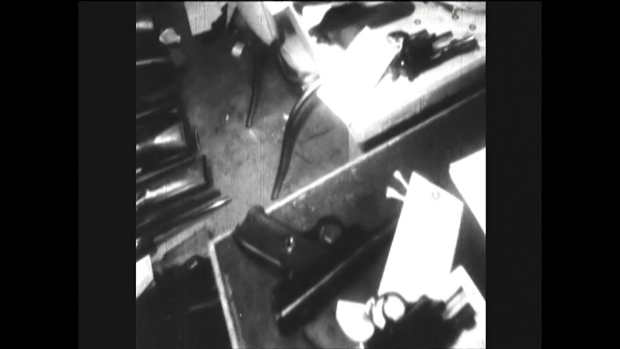 The Watts Gang Task Force launched a decade ago meets every Monday. And five years ago, Sgt. Emada Tingirides got the assignment from Beck to develop and coordinate the Community Safety Partnership program made possible by funding from the city Housing Authority and focused on the public housing developments, including Jordan Downs, Nickerson Gardens, and Imperial Courts. "I came on during a time where LAPD was still learning how to ensure the department represents the communities that they're policing," Tingirides said. "Our job is to build relationships with the people that live in the community, to broaden the communication and to make it safe so that kids can grow up and thrive." 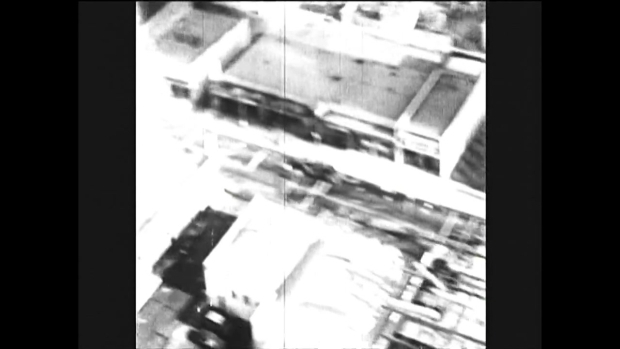 Rare footage of the Watts riots shows the destruction that destroyed the neighborhood in August 1965. From the get-go, Tingirides had an ally in the commander of the LAPD Southeast station that provides police services to Watts: then-captain, now Commander Phil Tingirides--her husband. He, like his wife, grew up on the southside. CSP officers go beyond the scope of traditional policing, especially working with youth, launching girl scout troops, and a boys football team, the "Watts Bears." "Every single one of those program has a purpose," he said. "For football, it helped up erase gang lines because we had kids from each of the developments that had been gang rivals for decades, who were now coming together to watch their kids play." 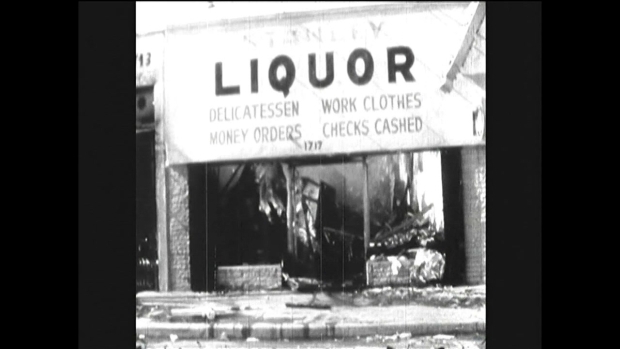 After days of rioting, residents began to assess the damage done to the community after the 1965 Watts Riots. When first lady Michelle Obama invited the Tingirides as her guests to the president's State of the Union address this past January, it was a compliment to Watts as well. "It made all the difference in the world having someone who really believes in the neighborhood, who's from the community and who understands all of the community dynamics," said Aqeela Sherrills, an entrepreneur and gang intervention advocate. Not only have tensions eased, but crime rates plummeted. Despite a recent surge in gang violence, homicide rates remain far below the levels of a decade ago, and an order of magnitude below that of 1991, which witnessed the highest levels of violent crime in the city's history, according to Chief Beck. 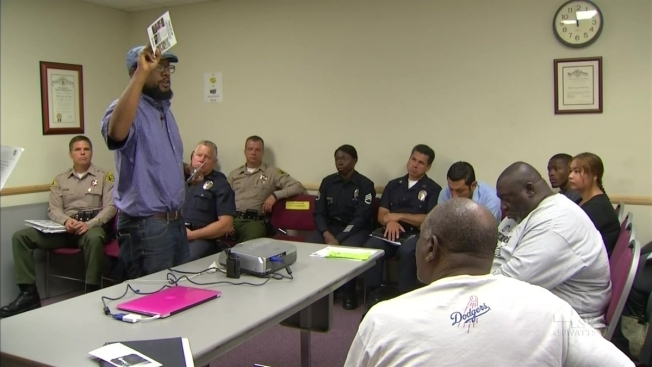 After days of devastating riots, Watts residents are faced with the aftermath. But this past year, across the nation and including LA, police uses of deadly force against African-Americans have drawn renewed protest, and energized the movement known as Black Lives Matter. Its members see institutionalized racism as continuing to affect policing. "The police abuse is really kind of just a symbolic of a larger kind of looming oppression that ties black people to the lowest rungs of society," said Melina Abdullah, PhD, a Cal State Los Angeles Professor who is active in Black Lives Matter. And distrust does remain among many in the projects. "As soon as you answer the question 'Are you on parole?' literally Dr. Jekyll turns into Mr. Hyde," said Watts resident Cleveland Scruggs. Nevertheless, there's a growing consensus the bonds established in recent years will help Watts and LAPD survive inevitable rough patches. "It isn't whether or not things go wrong, it's what does the organization do about it," Beck said.